Kaizer Chiefs new signing Lebogang Manyama. Lebogang Manyama has joined Chiefs on a three-year contract after he was released by Turkish side Konyaspor. Newly signed Kaizer Chiefs forward Lebogang Manyama has described his move to Amakhosi as a dream come true. The Bafana Bafana star joined Chiefs on a three-year contract on Wednesday after he was released by Turkish side Konyaspor as a free agent. 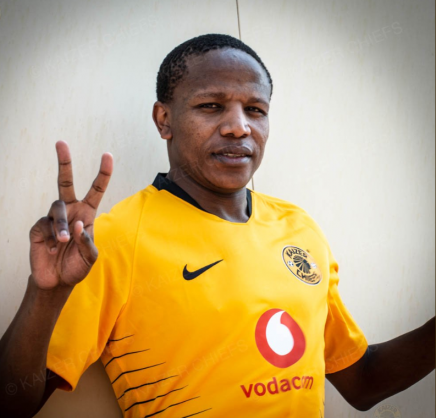 Manyama is Amakhosi’s second high-profile attacking signing in this window, following on from the snapping up of Khama Billiat on a free transfer. “It’s a dream come true,” Manyama told the Chiefs website. It remains to be seen if Manyama is ready as he is set to face another of his former clubs, SuperSport United, on Sunday in Atteridgeville in an MTN8 semifinal, first leg clash. Either way, Kaizer Chiefs head coach Giovanni Solinas could certainly do with some vigour in his attacking ranks, with Chiefs managing just three league goals in four matches thus far, and yet to register an Absa Premiership win. They were, however, far more impressive in their MTN8 quarterfinal, thumping Free State Stars 3-0, with goals from Leonardo Castro and Billiat. For Manyama, meanwhile, Chiefs should provide a good platform for him to relaunch his career, after the disappointment in Turkey.